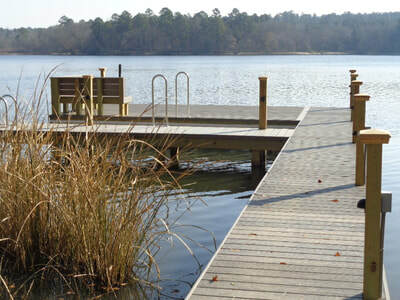 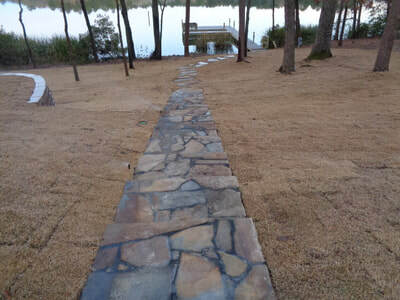 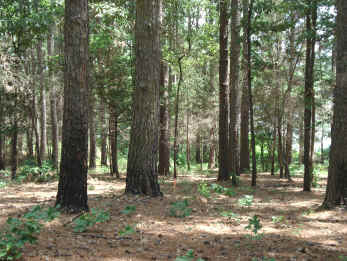 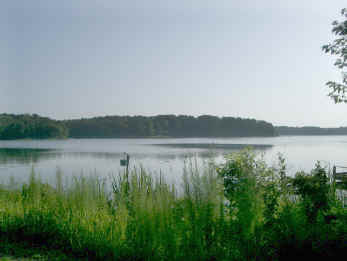 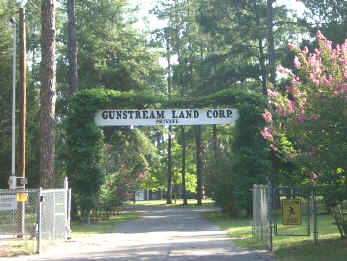 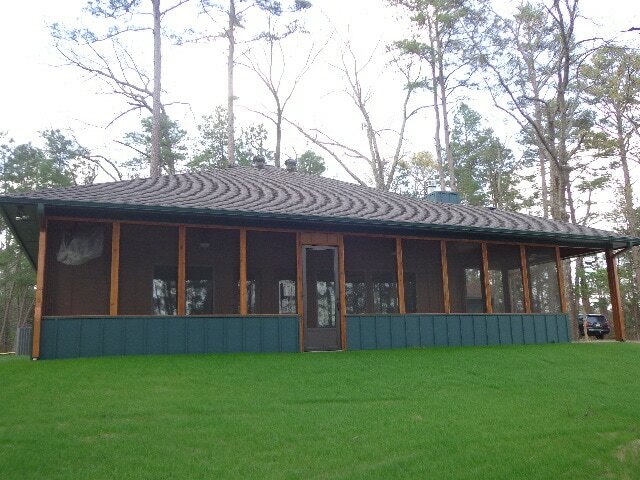 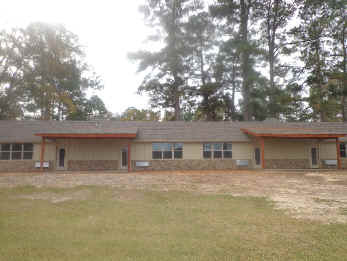 Gunstream Land Corporation is a private hunting and fishing club located in Winnsboro, Texas. 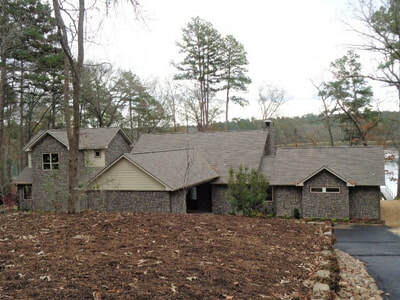 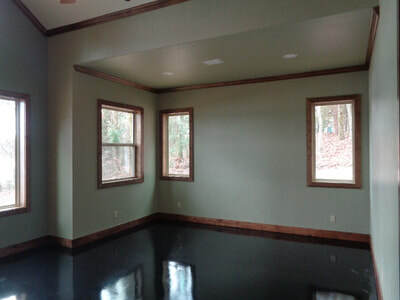 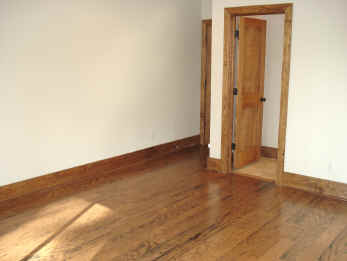 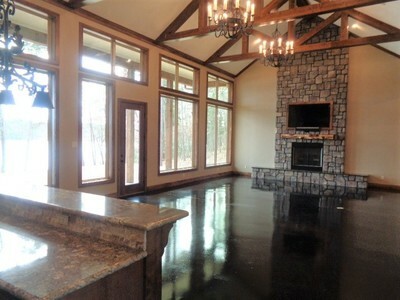 This beautiful, approximately 5,500 sq.ft. 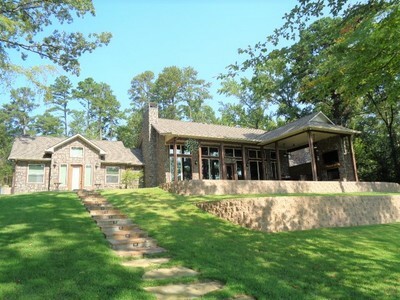 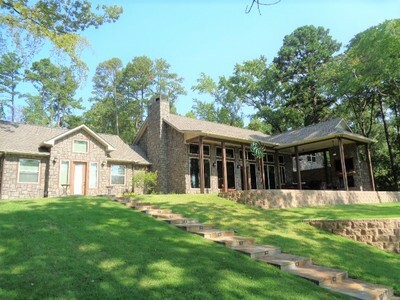 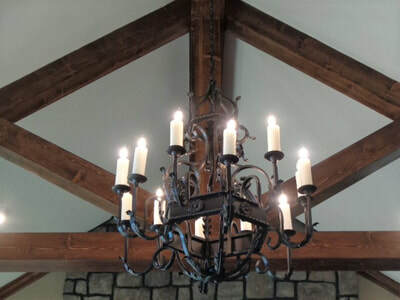 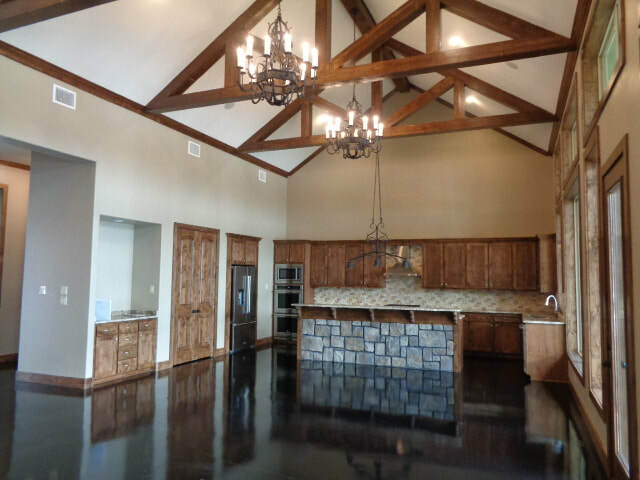 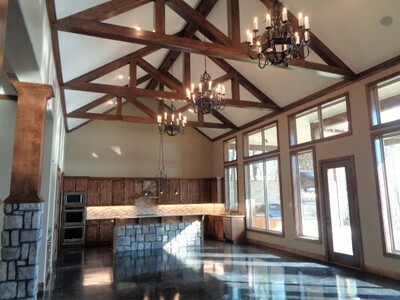 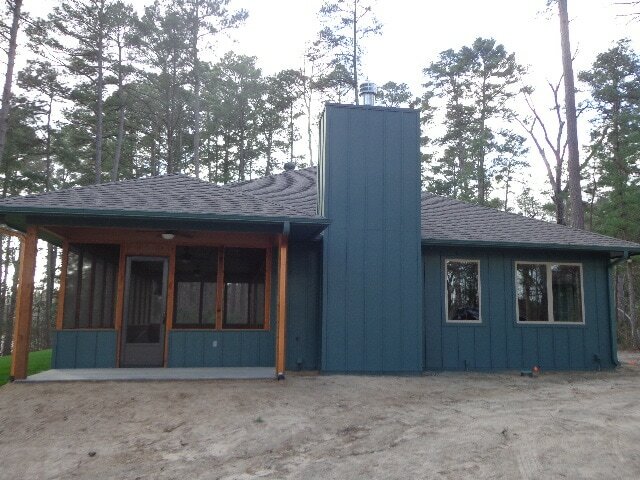 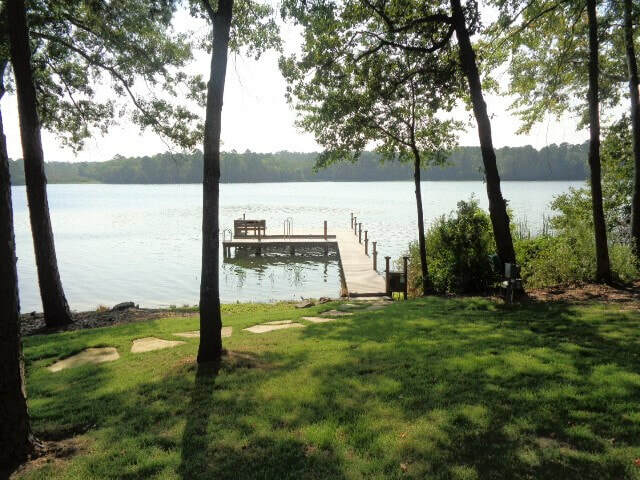 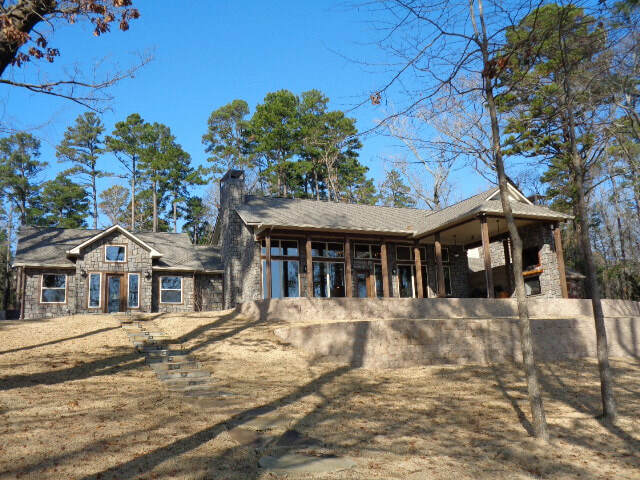 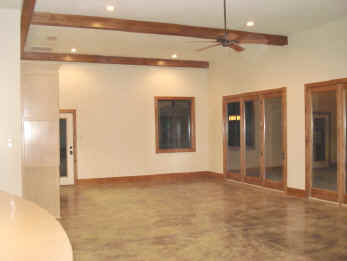 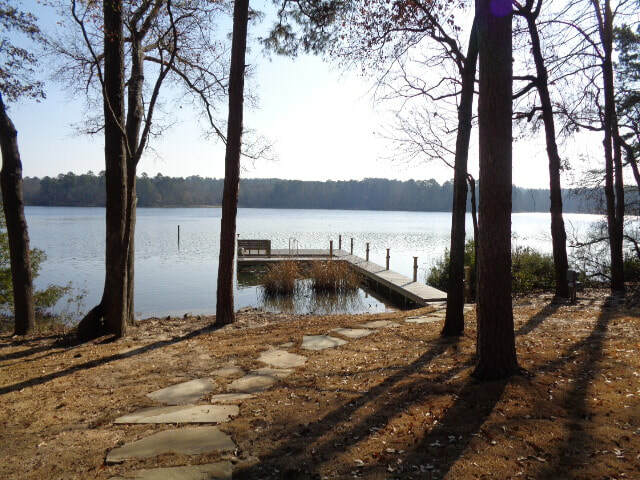 custom home is a lakeside retreat including four guest rooms and a 27' ceiling height in the great room. 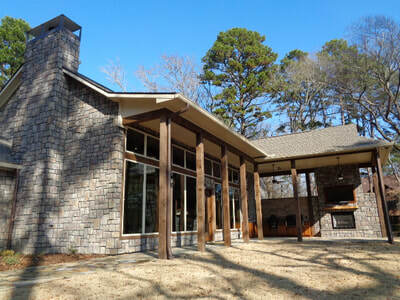 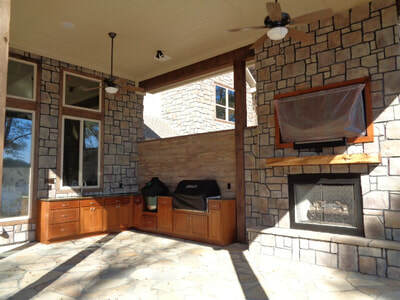 Custom woodworking, granite bathrooms and kitchen and lots of windows and an outdoor covered deck complete with cooking grills, tv and fireplace make this a fisherman's paradise. 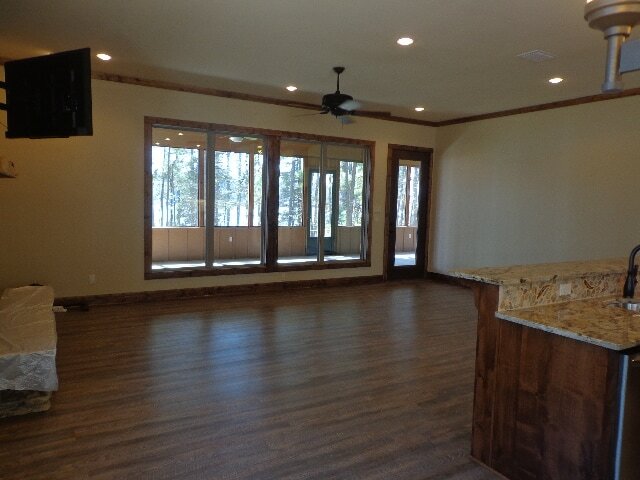 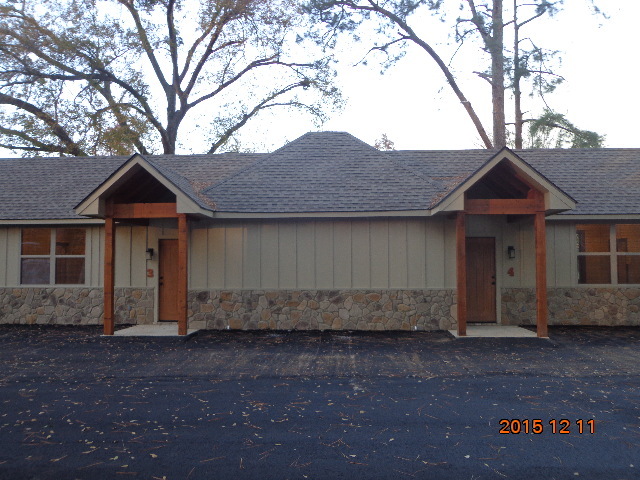 Take a look at this approximately 2,040 sq.ft. private fishing cabin overlooking the lake. 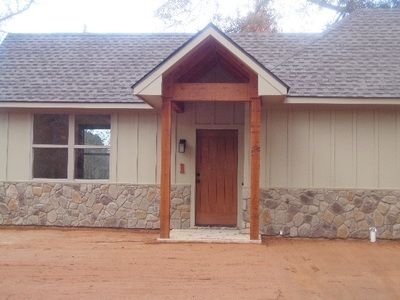 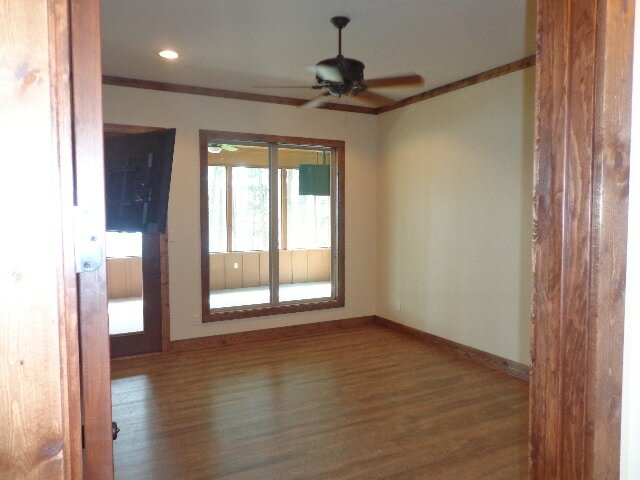 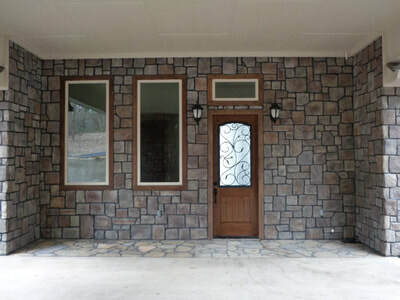 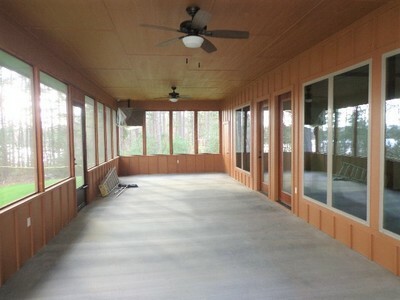 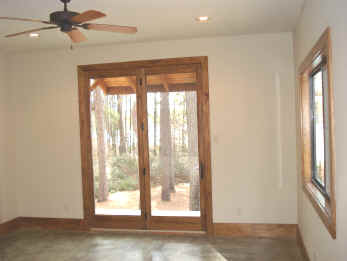 This home has 8' interior doors and 15'x40' screen porch. 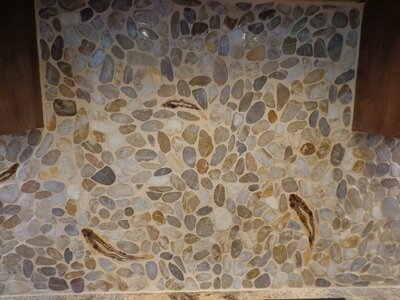 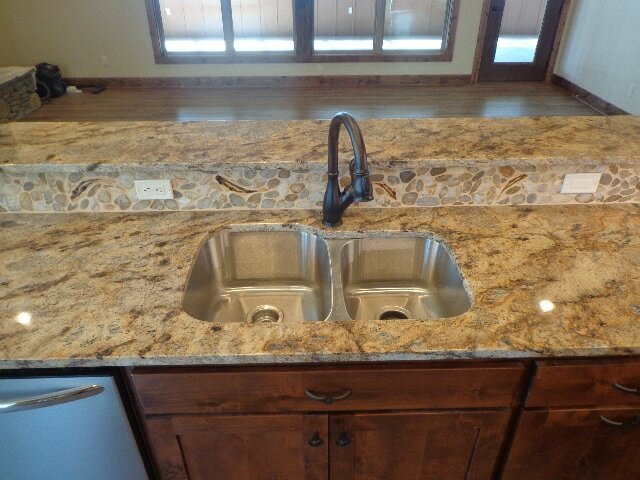 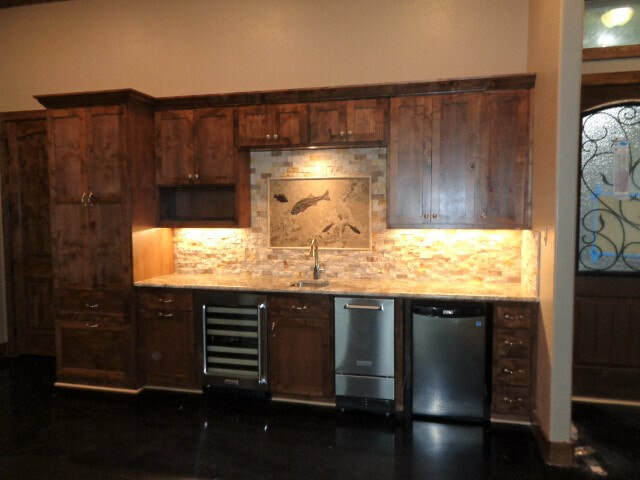 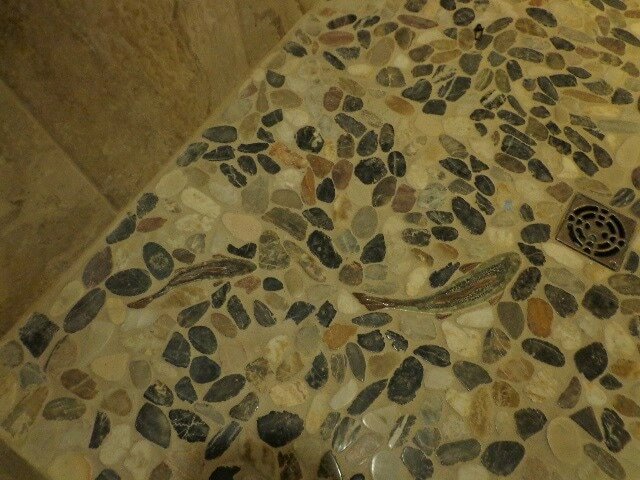 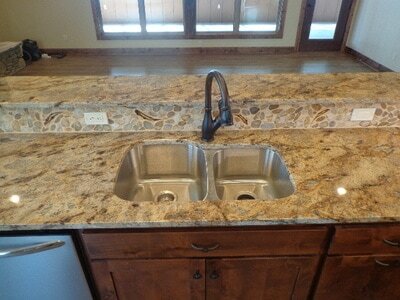 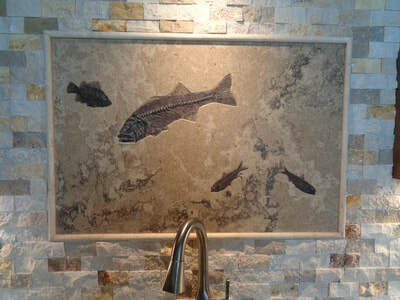 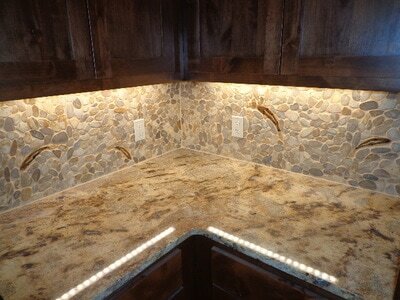 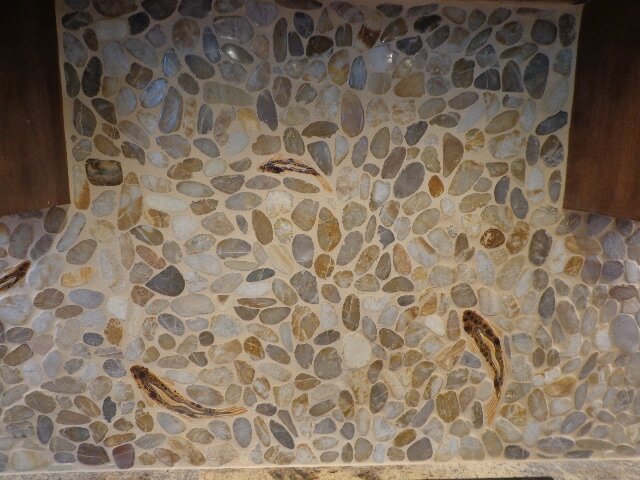 Granite counters in the kitchen with a custom cut stone backsplash with in laid fish tiles. 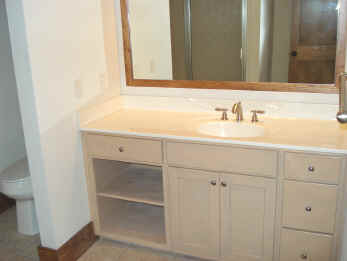 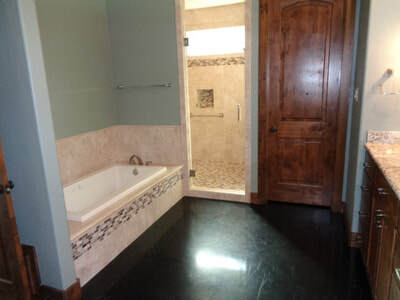 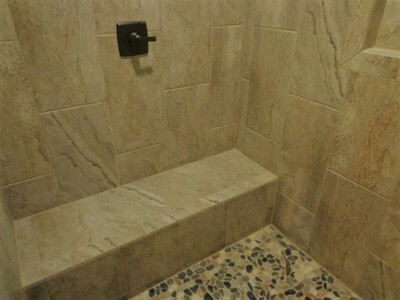 Master marble vanity and a master shower/steam room. 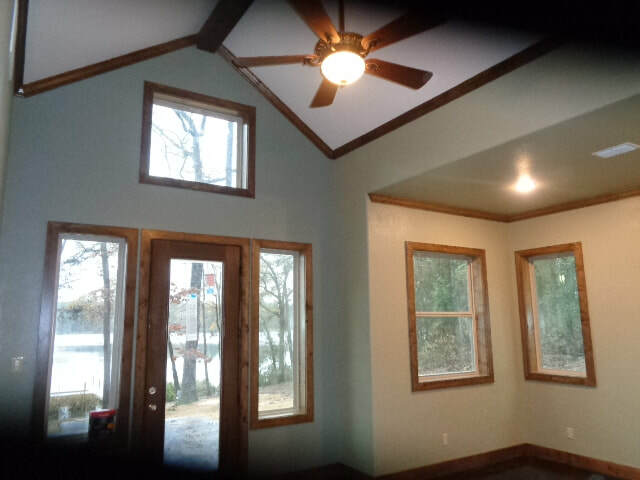 Stained crown molding and base throughout. 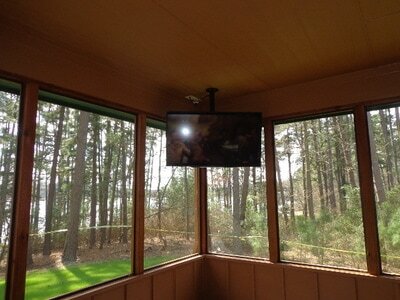 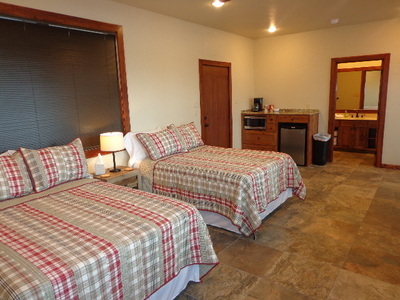 We built (8) fishing cabins for the owner's and their guest to enjoy! 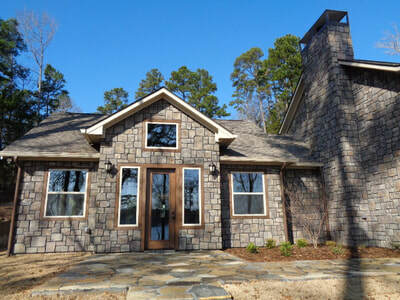 We also built a beautiful country home with more to follow. 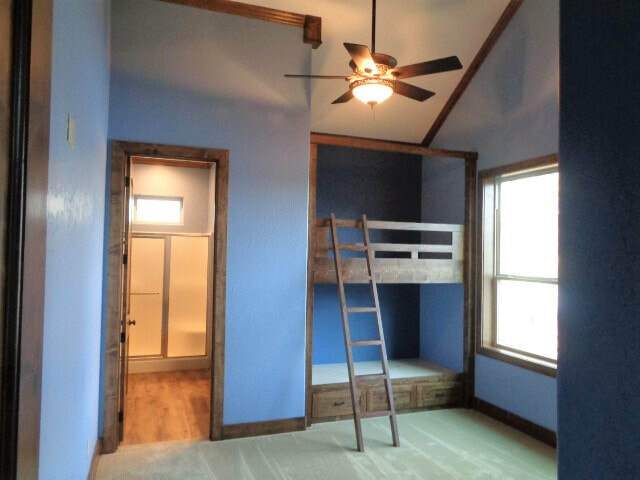 Scroll down to view more photos. 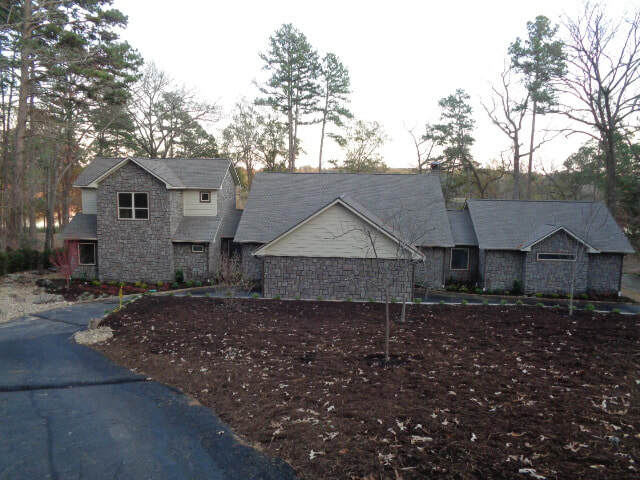 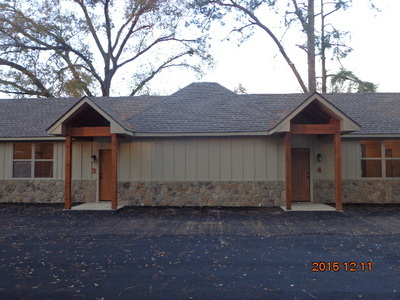 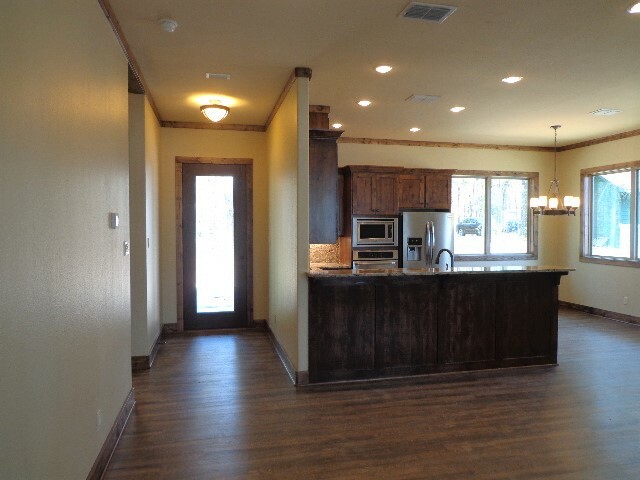 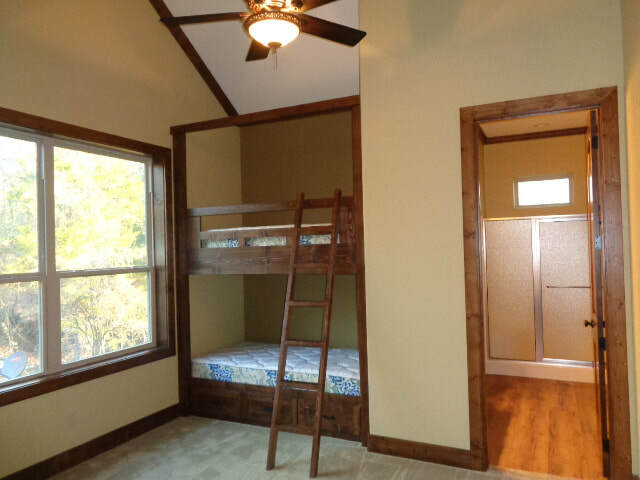 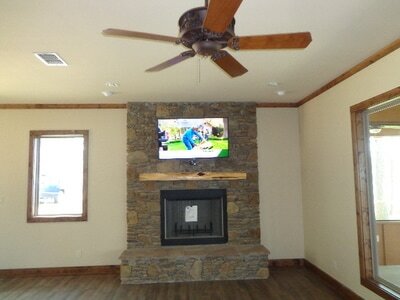 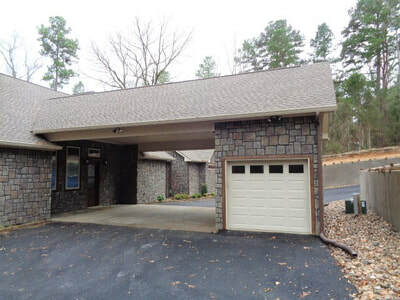 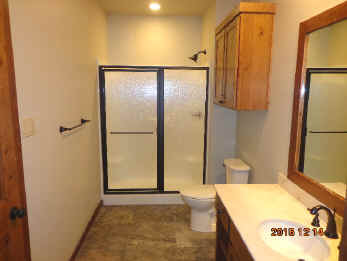 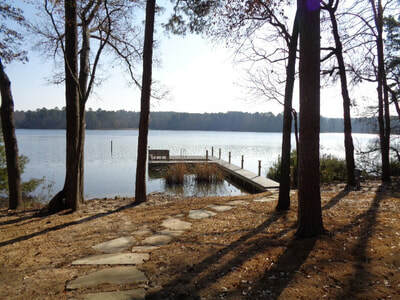 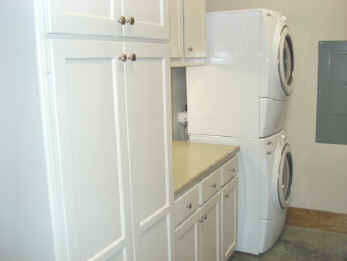 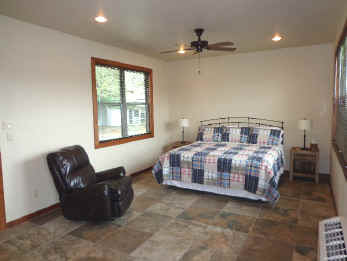 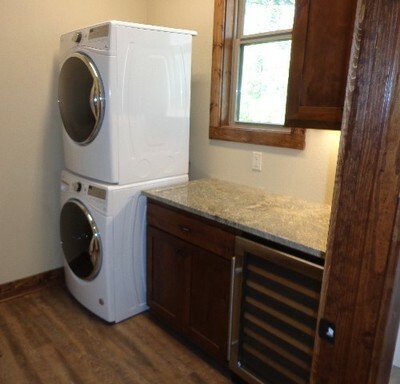 Take a look below at this approximately 3,300 sq.ft. 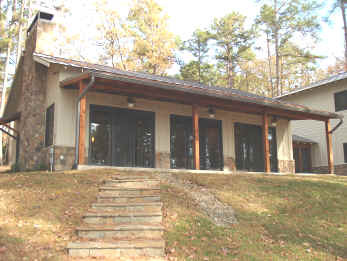 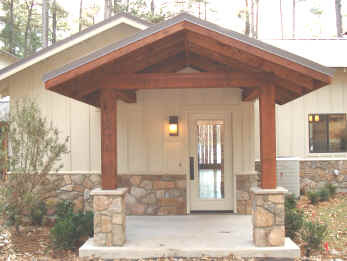 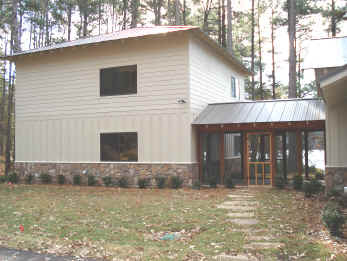 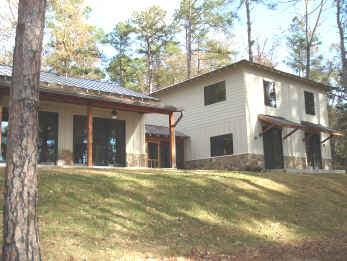 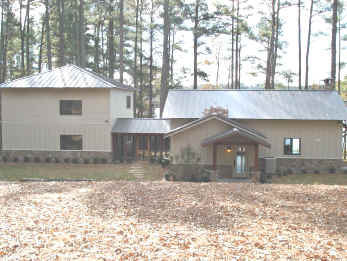 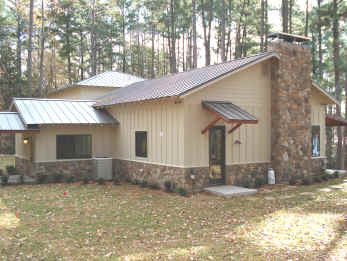 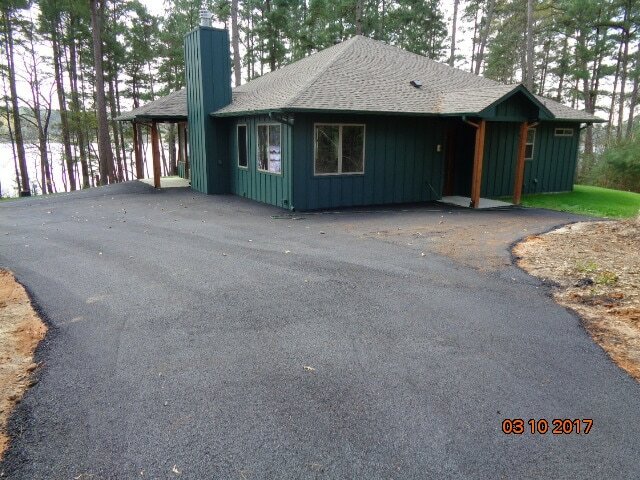 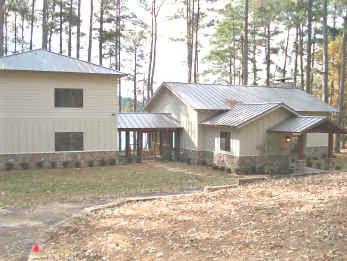 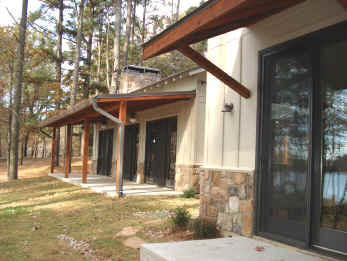 custom lake home we built. 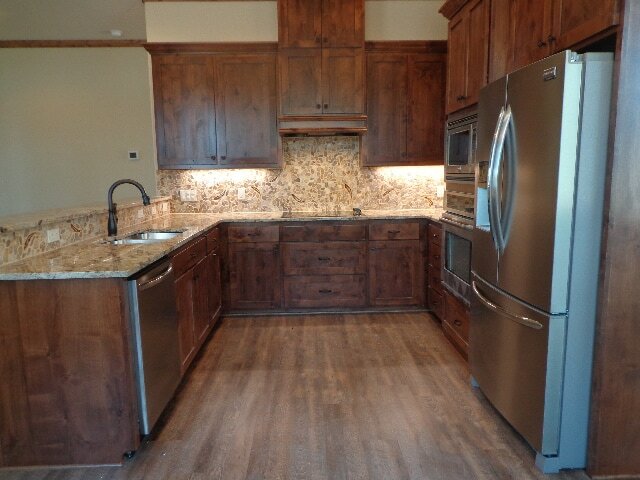 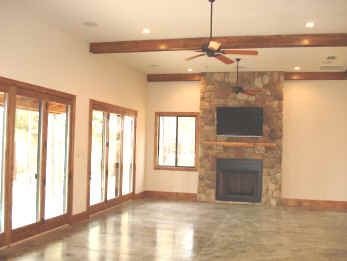 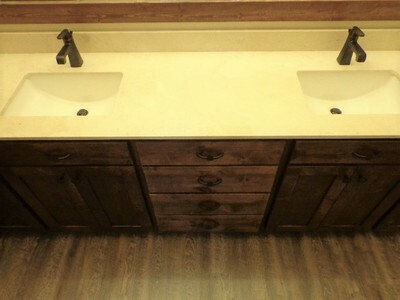 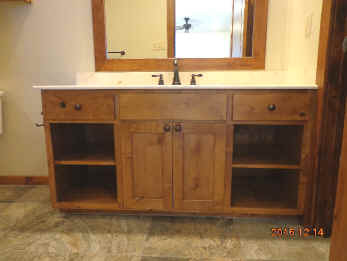 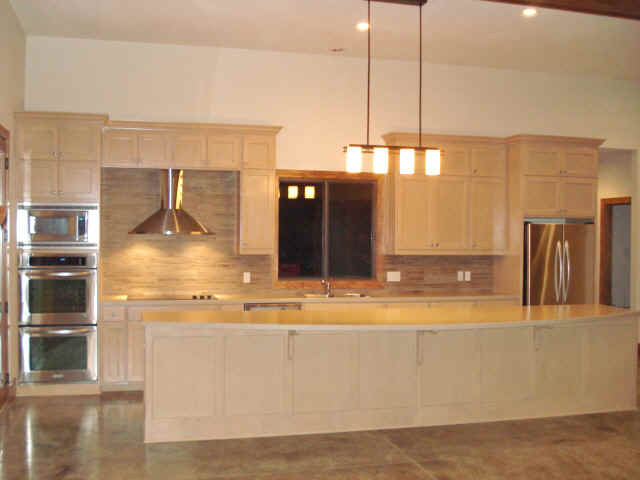 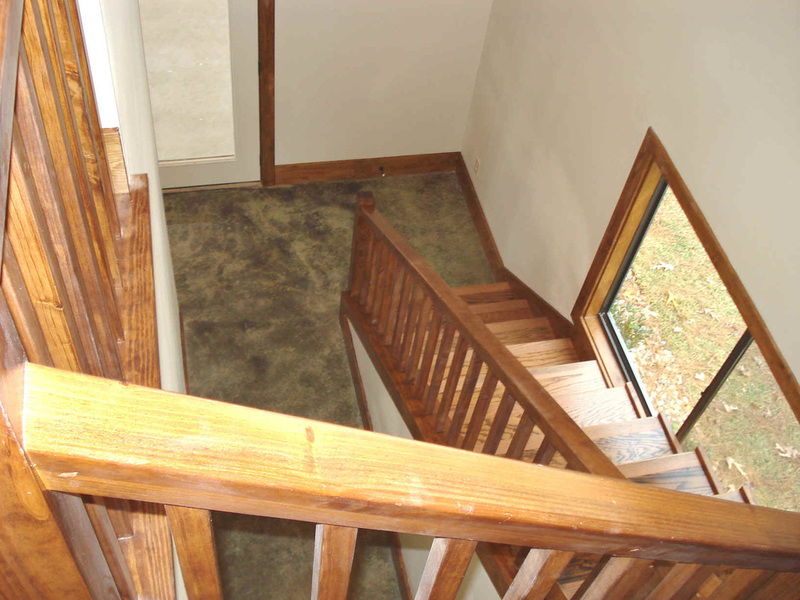 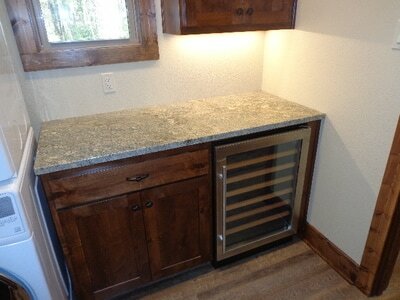 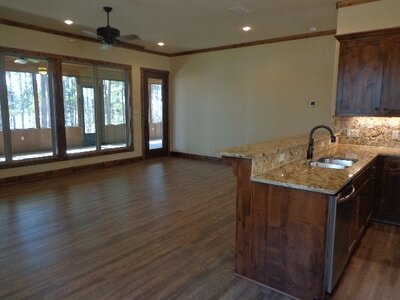 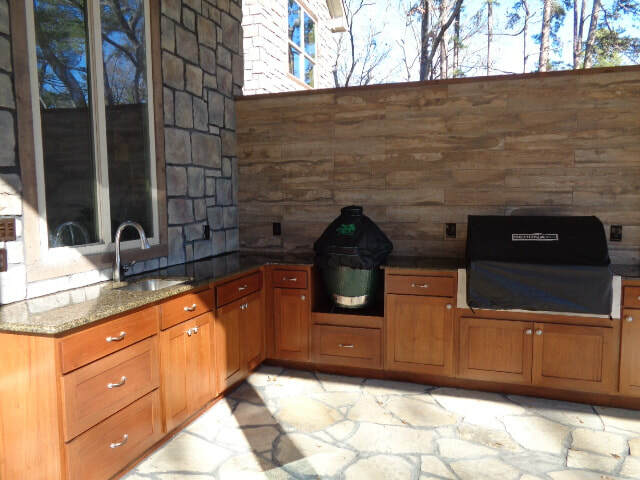 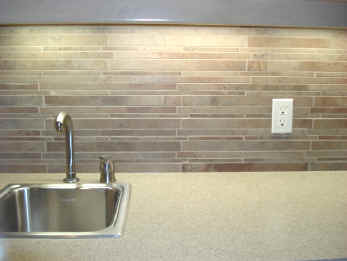 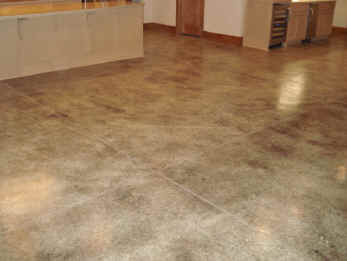 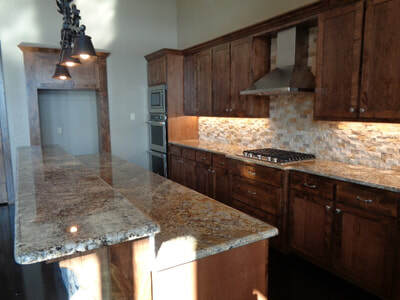 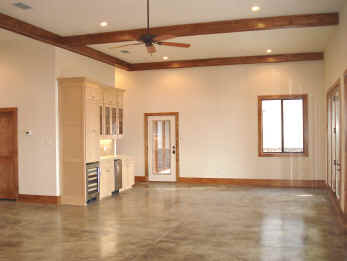 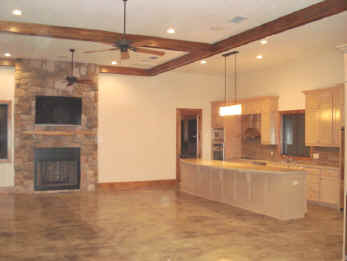 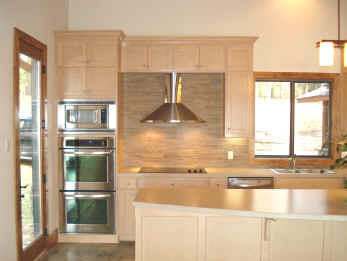 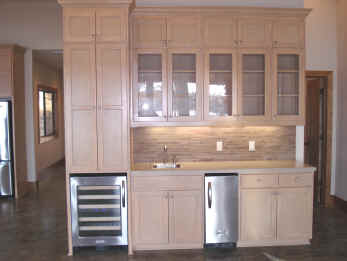 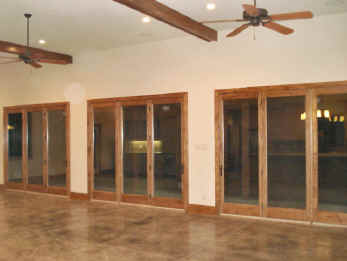 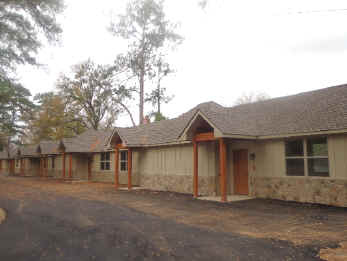 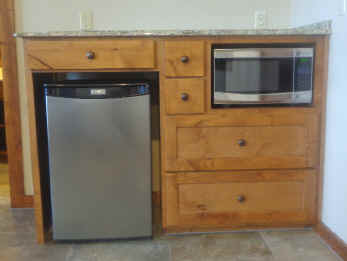 It is combination hardiboard and stone, metal roof, maple stained cabinets and stained concrete flooring.